SYDNEY, Australia, June 22, 2016 (ENS) – Scientists with the Australian start-up Licella have devised a way to use biomass waste from the papermaking process to make a new petroleum substitute – biocrude oil – that has attracted the interest of Canadian pulp and paper producer CanFor. The process can convert biomass, including wood residues from Canfor Pulp’s kraft pulping processes, into biocrude oil that is ready to go into existing petrochemical refinery streams to generate renewable fuels. The ITQ laboratory in Valencia, Spain has demonstrated that it is possible to upgrade Licella’s biocrude to kerosene and diesel utilizing standard refinery infrastructure. Other biofuels are typically low-energy density, are not stable, and are difficult to transport and blend. 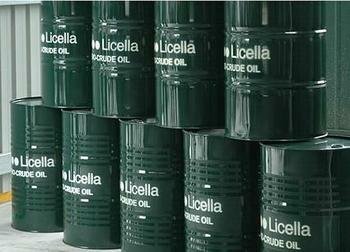 Licella’s biofuel has proven to be stable, transportable and blendable. CanFor plans to invest funds sufficient to build commercial-scale biocrude plants that are integrated with adjoining pulp and paper plants to transform the resource-intensive pulp and paper industry. Co-founded by University of Sydney chemistry professor Dr. Thomas Maschmeyer, Licella developed the unique process in partnership with the University of Sydney. Their Catalytic Hydrothermal Reactor (Cat-HTR™) technology converts low-cost, non-edible, waste biomass into biocrude oil. “Only 30 percent or so of a tree becomes paper, the rest is waste. We use this waste to make a new product – biocrude oil from renewable, already aggregated waste,” Maschmeyer explained. Over the past nine years Licella has invested A$60 million in its technology development. “After nine years of very hard work by an amazing team of individuals at Licella and the university, it is extremely pleasing to see this Australian green technology going global; it will make a substantial impact,” Maschmeyer said. “Using the whole tree and not just a minor part will move the industry towards biorefining,” said Humphreys. CanFor President Brett Robinson says the Cat-HTR™ technology is a good fit for their company. “The opportunity to directly produce advanced biofuels from our existing streams could transition Canfor Pulp from being strictly a pulp and paper manufacturer to a bio-energy producer as well,” he said. Currently, pulp and paper waste is burned for low-quality process heat. But now Licella’s Cat-HTR technology can theoretically process any form of ligno-cellulosic biomass, without the need to dry the feedstock before processing. Licella is a subsidiary of Licella Pty. Limited, which in turn is a subsidiary of Ignite Energy Resources Ltd., an Australian public unlisted natural resource and energy technology development company. In late May, Licella Fibre Fuels Pty Ltd. and the publicly-traded Canfor Pulp Products Inc. (CPPI) signed an agreement to form a joint venture under the name Licella Pulp Joint Venture. 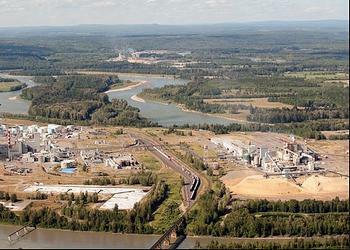 The agreement follows a successful program of preliminary trials conducted on feedstock from Canfor Pulp’s Prince George, British Columbia pulp mill at Licella’s pilot plants located at Somersby, an hour north of Sydney in New South Wales, Australia. In these trials, wood residue streams from Canfor Pulp’s kraft process were successfully converted into a stable biocrude oil. “Biofuels and biochemicals represent the next frontier in the utilization of sustainable wood fibre to produce green energy and chemicals,” said CPPI chief executive Don Kayne. “This initiative underscores Canfor Pulp’s commitment to innovation and the importance of green energy and chemicals in our future product mix, and we look forward to developing this potentially transforming technology with Licella,” he said. Upon successful integration of the Cat-HTR™ technology, the Licella Pulp joint venture will investigate offering this solution to other third party pulp mills. Earlier this month, the 24th European Biomass Conference and Exhibition in Amsterdam provided a unique overview of the state of play of the sector and a much clearer view of the role biomass can play in achieving the transition to a low carbon economy. After the landmark Paris Climate Agreement reached in December 2105, and signed by 175 nations in April, international institutions and scientific organizations agree that biomass and the bio-based economy are crucial to help the world meet the climate change target of less than 2 degrees Celsius temperature rise over pre-industrial levels.